This is a major solar energy project that, once completed, is expected to provide more than 50% of the total electricity consumption for both PATCO and the DRPA, through solar energy. The DRPA/PATCO Solar Energy Project will be one of the largest transportation-related alternative energy initiatives in the region, potentially resulting in millions of dollars of electricity cost savings. "This project represents an important and groundbreaking next step for the DRPA and PATCO as we explore new opportunities to promote sustainability within every aspect of our operations," said DRPA Vice Chair Jeff Nash. "I'm excited about the potential opportunities that exist for reducing our carbon footprint, while encouraging the use of renewable energy sources and, ultimately, providing more cost effective energy solutions. I join with Chairman Boyer and the rest of the board in applauding and supporting this innovative new project." Proposed locations for the installation of solar generation technology will include the Commodore Barry Bridge, Betsy Ross Bridge, One Port Center, Lindenwold Yard, Lindenwold Station, Woodcrest Station, Ashland Station, and Ferry Ave Station. The Authority issued a request for qualifications (RFQ) on April 16th, 2018 for organizations capable of preparing the design and constructing solar facilities at eight locations across DRPA/PATCO. Selected organizations will be asked to respond to an RFP to be issued in June of 2018. 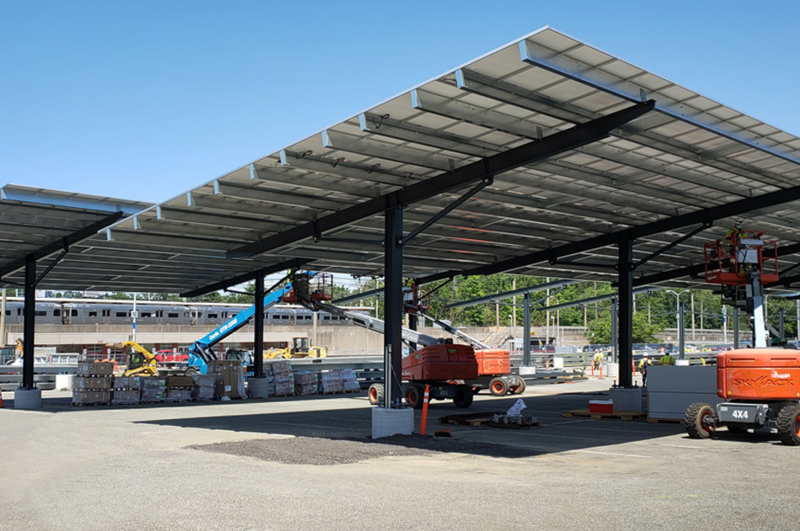 As envisioned, the project will involve installing solar technology that will generate an estimated 20 megawatts (MW) of electricity through a combination of ballasted flat roof mounts, ground mounted arrays, and solar canopies over parking, storage, and work areas. The RFQ will seek statements of qualifications for long-term power-purchase agreements for the solar systems. The DRPA is committed to reducing its environmental footprint while simultaneously improving the efficiency of the critical transportation infrastructure that it owns and operates.